As 2016 comes to a close, I decided to join the fun and select 9 cards I made during 2016 that I don't hate. HA! I think I like pink! 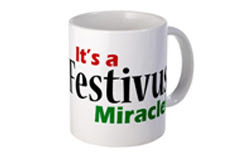 Today is Festivus, the day set aside for the annual airing of grievances. It's a wonderful opportunity to just let out all the things that are bothering us. We can set them aside and look forward to a fresh new year. I hate to ruin today's holiday, but when I look back on 2016, all I feel is gratitude. All sorts of unexpected things happened -- some were great, some not so great, and some downright awful (the movie, Jackie, comes to mind). I'm not a fan of the unexpected, and I could not have foreseen much of 2016. But the year is almost over, and we are good. Our Christmas tree is lit, I'm home, waiting for my husband to arrive from the airport with our son, and I've eaten one too many Christmas cookies. My life is not perfect, but I am so grateful for so much that I don't have the words to describe the feeling, other than to say it's nice. If I could bottle that feeling, I'd bathe in it every day. Regardless of whether you celebrate Christmas, I wish you much merriment, health, peace, and a big bottle of niceness. Hi, thought I'd fill you in on the past few months. We just got back from living in Brussels, Belgium. My husband went at the end of September to work on a short assignment at the European Commission and I joined him towards the end of October. We came home earlier this week. It was a fascinating time and I'll share more about it later. In the mean time, thought you would enjoy this anecdote from the trip. Some time in late November, while I was sitting on the sofa with my laptop, watching The Goodwife on Netflix, a little rat jumped on my lap and then skittered off into the corner of the room. I stood up, laptop falling on the floor, and screamed. I ran to see if I could find the ratfink but he was too fast for me. The apartment didn't have a garbage disposal and I figured that the banana peels, etc. in the trash were attracting rodents. UGH. When Mike came home that night, tired from fending off questions about Trump (we were asked about the election everywhere we went as if we had some secret information only available to US citizens), I told him what happened. He looked around and couldn't find any evidence of rodent infestation. I think denial is an excellent way to get through life, so I pushed that rat out of my life in the same manner that I push all bothersome things. There was no rat. Belgian pastries are good for you. (There's at least one fantastic pastry shop on every block.) Everyone I know is happy and healthy. Life is perfect. Two days later, with Mike right near me, the rat was back, once again jumping on my lap and skittering off to the corner of the living room. Damn! Goodbye denial, hello reality. Me: "I can't live like this. This is nuts. We are paying a lot for this place and there are rats. I want to move to a hotel tonight. That airbnb land lady is going to pay for us to stay elsewhere." Mike: There was no rat. Mike: No really, I was looking right at you. Joan, there are no rats. Me, thinking: OMG I'm becoming my mother. I am nuts. I'm not putting Mike through this. I'll leave, go to one of those assisted living places. Maybe there are drugs that can stop the rats. Will Andy and Mike visit me there? Mike will be so lonely without me. He needs to find another wife soon. Me: Do you think I'm crazy? Am I losing my mind? Mike: You don't seem any different to me. Me: What does that mean????? Mike: I mean you are not crazy. Something else is going on. Me, thinking: OMG I have a brain tumor. We looked at each other. 2016 was shaping up to be one heck of a year. So, with one eye scanning for rats, I took out my medical school textbook from my neurology rotation, googled brain tumors with my remaining eye. It was possible, but something told me that wasn't it. Being the excellent diagnostician that I am, I remembered all the medication I was taking and researched the side effects of each of them. (As a general rule, I don't look at possible side effects before taking a medication, because I figure that was a sure fire way of imagining all of them.) I was taking Metoprolol, a very common medication. Buried at the end of the side effects, under "very rare" was hallucinations. I also found a journal article by NIH recounting 3 patients taking this stuff who had visual hallucinations. BOOM! I'm not crazy and I don't have a brain tumor! I sent a message to my cardiologist telling him that this drug was causing me to see rats jumping on my lap. I ended my message with a "p.s. I'm not crazy." Luckily, he responded in less than an hour with "You are not crazy. It's the medication." So I halved the dose, and while I never saw a rat again, I was on high rat alert the last two weeks of our trip. I mean, once you've had rats jumping on you, life is pretty much never the same. Eventually, we left Brussels a few weeks early so I could get completely off that medication and start a new one. 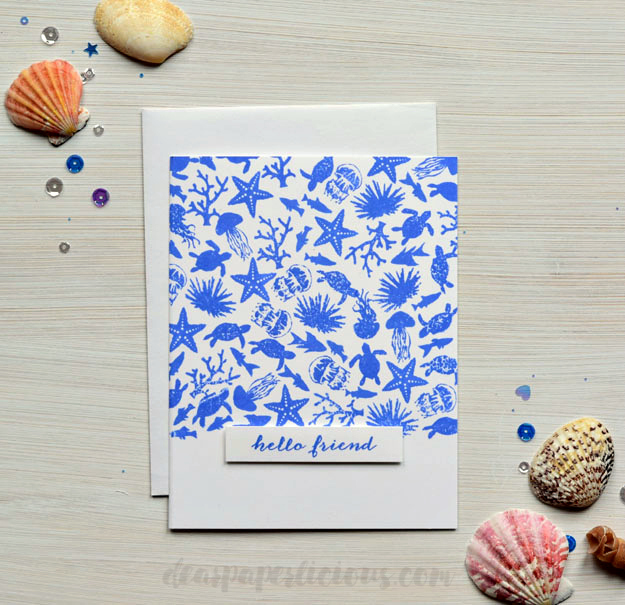 I want to get back to stamping soon. I've missed it. The time off gave me a new perspective on the industry and current trends and what I'd like to create in the future. But more on that, after I've actually made something worth sharing. As I wrote in my last blog post, I was diagnosed with obstructive hypertrophic cardiomyopathy *(HCM) in August. The HCM Association, of which I am now a member, encourages those diagnosed to "share their story" in order to increase public awareness of this condition. It's not uncommon (1/500 have it, but many don't even know that they do). And if you have it, your kids have a 50/50 chance of having HCM. So, it's worth knowing about, particularly if you have an unexplained heart murmur or a history of family members dying unexpectedly. So .... here's my story. August 2016: All I wanted was more Ativan so that I could fly to Europe in the fall. I need to find a new doc since I no longer commute to DC. So I decide to get a physical. It's the mature thing to do. The doc listens to my heart and hears a murmur. It's been there for years and no one cared. I had an echocardiogram at one point but was told it was normal. The new doc orders an echo because the murmur bothers him. The night I had the echo some cardiologist I had never met leaves a message on my cell. "I read your echo. Your heart is complicated. Blah blah. I've sent a prescription to the pharmacy for you. Take it immediately. Let's talk in the morning." I play the message for Mike. It didn't sound good, but I laughed if off. I do not pick up the prescription. I mean, who was this guy? I don't sleep much that night. The next morning Dr. T explains that I have HCM and I explain that I will be leaving for Europe on October 1 and can this all wait? No it cannot. Within the next 3 weeks I get more and more messages that I'm scheduled for this test and that test. I dig out my file on family medical stuff. Wow, my father had this. I talk to my cousin and she knows more than I do about my own family. I learn a lot. My father, brother, and aunt died from HCM. There's some suspicion that another brother may have died from it (he died of SIDS at 6 weeks). Some of my cousins also have it. I'm beyond upset that I've inherited this from my father, as that is a very complicated issue. Does childhood crap ever end? And what about my kid? September 2016: All the test results are in. I have access to them online and read them and google every sentence. At this point, I'm a few websites away from opening my own cardiology practice even though I don't really know how the heart works. My father and brother died from sudden cardiac arrest** and they had HCM. Why didn't I know that? I stop caring about eating. I must be really sick because I didn't know that was possible. Mike and I meet Dr. T. He's young and seems smart, but the atmosphere is serious. HCM is why I've been short of breath (finally, something NOT caused by being overweight and out of shape). It's why I had a very difficult time emerging from anesthesia 4 years ago. He insists that I get an ICD as soon as possible so I don't drop dead. An ICD is an Implantable Cardiac Defibrillator. It isn't a cure and does nothing to treat the underlying heart condition, but will shock my heart in the unlikely (but possible) event that it goes into a fatal rhythm. I argue back, armed with my own knowledge from google. Dr. T yells at me. Yells. Mike looks pathetic. Dr. T doesn't do this kind of surgery. And, against my better judgment, I schedule the operation with another doc. I hate the other doc. He's flip and sounds like he's selling me a new car. It's a new kind of ICD, the S-ICD! 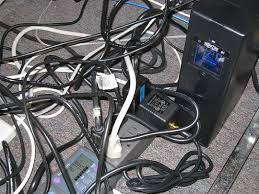 The wires don't go in your heart! There's no pacemaker! It's on your side, under the skin, not up by the collar bone! It's a piece of cake. I have the operation, during which my heart rhythm goes bad, and they shock my heart twice with those paddles they have on TV. The pain afterwards is unbearable and I am almost unable to move. I develop a blood clot in my leg. I remember my father getting a blood clot in his leg. It's all just too much too fast. I'm no longer leaving for Europe on October 1. It's not a piece of cake. I've lost 10 pounds. I want to kill that doc. October 2016: I'm feeling old. I'm supposed to check my heart rate once a day (it needs to stay low) and stay hydrated. I check it every 5 minutes and obsess if it gets too high. I'm drowning in Crystal Light. I'm waiting for that damn ICD to shock me. I start to feel sorry for myself. I mean there's this thing sticking out of the side of my body and I can feel the wires in my chest and it hurts like hell. I'm told that I have a mild case of heart failure (sounds worse than it is). I'm not that sick but I feel like a patient. Forget my father; my worse fears are coming true -- I'M TURNING INTO MY MOTHER. Mike should divorce me now, but he won't listen. Lots of fabulous people develop terrific outlooks on life when faced with a road bump. They choose joy. They don't complain. They become grateful for every day and hug those close to them. They enjoy sunsets and grow flowers and read good literature and become better people. I am not those people. I am a slug. I binge watch Grey's Anatomy on Netflix, and spend ridiculous amounts of time on google. The meds I take turn me into a zombie and that's my excuse. I try to stamp but all I do is stare at the paper, scribble some mess, and walk away. My friends and family have been amazing and I need thank you cards, but it's not happening. Now: As the days go by, the pain recedes, my attitude improves, and I'm returning to normal. I'm driving, getting out, seeing friends, etc. I'm not hugging people, or choosing joy, but I'm beginning to get a grip. I'm incredibly grateful for access to good health care and good health insurance and wonderful friends and family. My husband is a saint. I'm not in Aleppo. I feel a bit foolish for making such a big deal about all of it. I hope to be back with cards one of these days, but the mojo is still buried somewhere. I'm too busy today to write any more. George has just died on Grey's Anatomy, and I'm freaking out. How can they kill off George?? And, will Izzie survive her brain tumor? Will Meredith and McDreamy get married? Will I ever choose to get off the couch? * The majority of folks with HCM have few or no symptoms and live a full life. But others die from it or are severely affected. You just never know. ** sudden cardiac arrest is when the heart stops working properly and suddenly stops beating. A heart attack is different -- it is a when the blood flow is interrupted. I know my blog has been pretty quiet lately and I don't want to go radio silence with no explanation (especially with regard to Stamping Destroyed My Life!!!). Since I'm not a fan of vague references online to possible inklings of maybe something that might possibly be wrong, I'll share that I've been diagnosed with a congenital heart condition. My father and brother both died from this, but I'm fine now and I'd like to keep it that way!! *** So, it is taking up a lot of my time, and more importantly, sucking every bit of energy out of my stamping and writing mojo. In addition, I hope to be doing a bit of traveling here and there over the next few months, and that will keep me away from the craft room. I've declined all (very much appreciated) design offers and am just putting stamping pretty much on the back burner until 2017. I do hope to post a few cards that I hope to make, but I'm not sure I'll get to it. I hope to be back with a ton of content next year! *** In fact, this may be a blessing in disguise as I've lost most of my appetite! Great weight loss plan! Made a bunch of these the other day for some little kids. 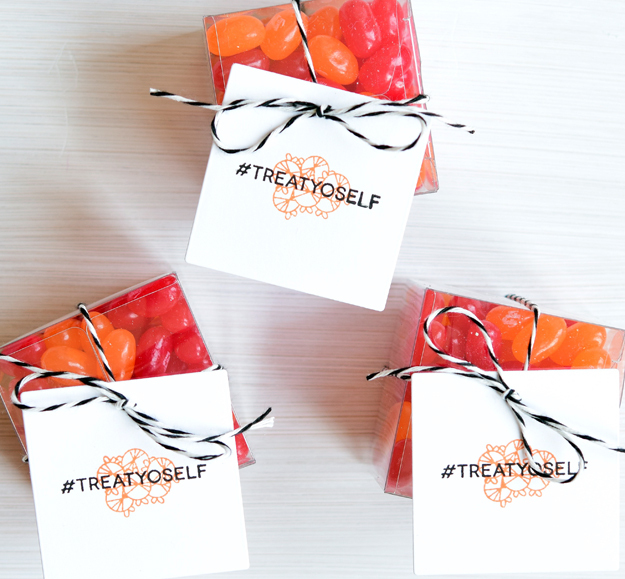 The clear tiny treat boxes (2 x 2) are from Stampin Up and a snap to put together (no adhesive needed -- just fold). 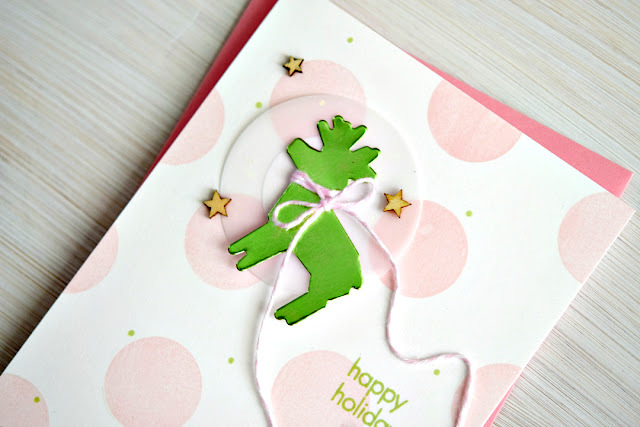 Made a tag with a square die and stamped some fun items from Clear and Simple Stamps. 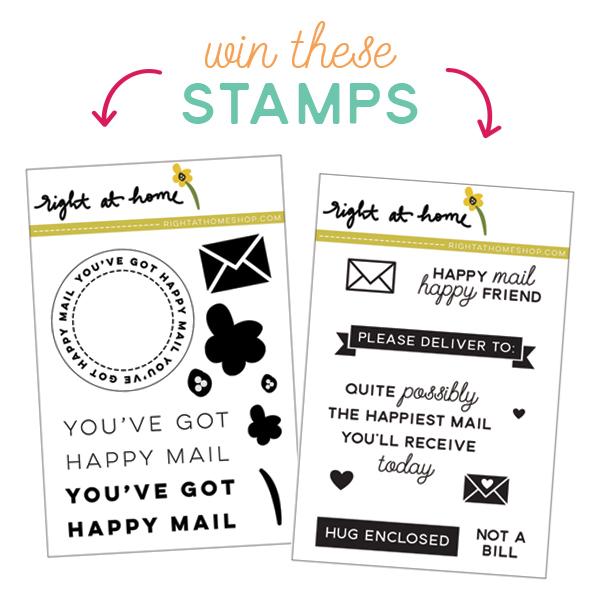 The sentiment is part of a mini incentive (free) stamp with purchase for August. The candy image is from a set that I do not think is still available. 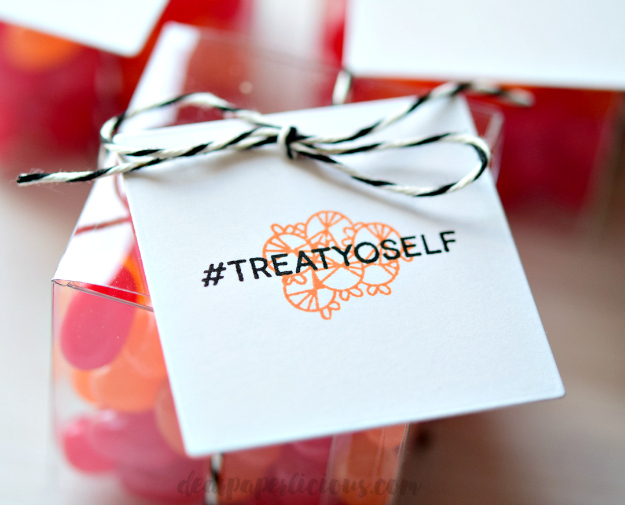 These would make cute party favors. Or fill with Halloween candy for a party. Or, grown up candies! The boxes are small, but would fit a delicious truffle sitting on some shredded paper. I'm stopping now because this is making me hungry. MOOD WHEN DONE = Proud I didn't eat a single jelly bean! Not stamping related! 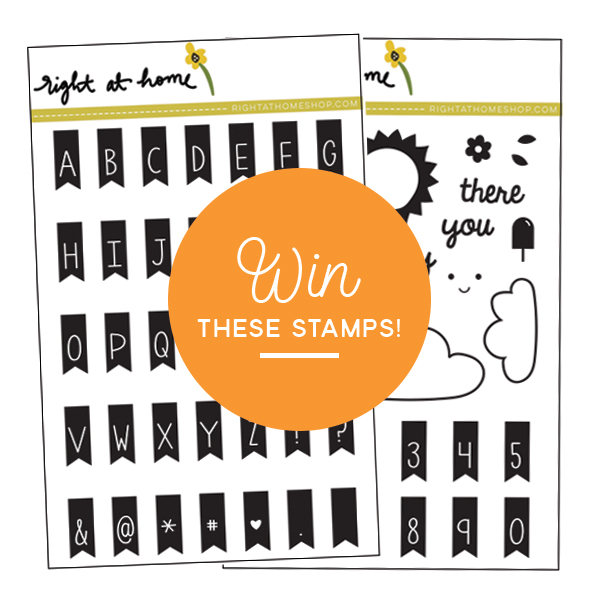 If you are looking for some awesome stamping, check here, here, or here. Of course, every ailment comes with a scan or some other test. So the medical visits have multiplied. And each medical visit includes filling out forms. I've written my name and address, and checked boxes guaranteeing payment and acknowledging the receipt of some privacy stuff (that I've never actually received and do not want) so many times, that I started to wonder. Does anyone read these forms once they are completed? In particular, does anyone read the medical history part? Why am I reporting my medications and surgery and the fact that I've never smoked if no one reads this stuff? So a few weeks ago, I got amused and wrote under "reason for visit," "I have an extra arm." I handed the forms to the receptionist and sat back to wait to be seen. The longer I waited, the more nervous I got. Would they throw me out? Write down some psych diagnosis? Order an x-ray of the extra arm? No, because no one read the paperwork. I left the doctor feeling pretty smug. Not once did he ask about my extra arm! I knew it! I had won my little game in my pathetic little life. When I was checking out, the receptionist gave me a code to set up an online medical records account. I declined, not wanting my medical records online - I don't want Russia hacking my account and telling everyone how much I weigh. She explained "Your records are already online. This is how you see your test results and how the doctor will communicate with you." So I set up the account and got access to my records. Awesome!!!! A neurotic's dream. Stamping would have to wait. I was too busy reading my creatine, BUN, potassium and calcium levels and spending all day with Dr. Google figuring out how many years I have left. But then I saw that there is a section in my online medical records that includes my "medical history." Apparently, someone somehow got the idea that I have an extra arm and entered "extra arm" in my online medical records. Unfortunately, this is a real medical condition. 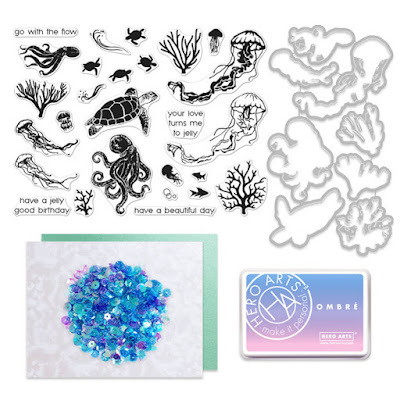 Is there some stamping technique I could pull off with this extra arm? Wash the dishes and read a book at the same time? Luckily, there was a way I could edit some of the information, so I edited the extra arm reference. But there was no way to remove the reference entirely. It looked like I had an extra arm, but got it removed. UGH. So I swallowed my pride and called up the doctor's office and asked them to remove the reference. They did not appear to have a sense of humor, but I checked and my records are now correct. Can you handle some winter inspiration? Hey, it's 124 days until Christmas! 3 months until the blazing hot sun and humidity that is the curse of my days turns to snow and ice that is the curse of my days.... have to love the seasons! Lots of very talented designers, and one average joe, are sharing projects today made with products from the new Hero Arts Winter Catalog. 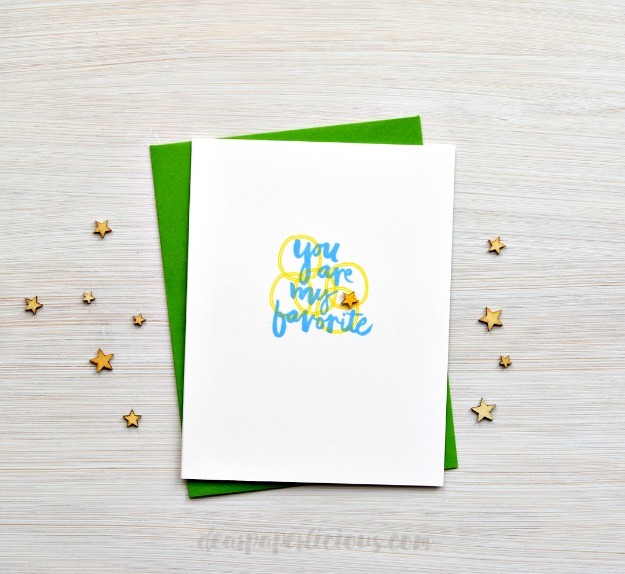 Hero Arts will be giving away three $25 gift certificates selected from comments made on the blog hop (more on the hop below). I'm sharing two cards -- one featuring the new Hero Arts Origami Happy Holidays stamp set and one featuring the coordinating dies, Origami Holiday Frame Cuts. They are also available as a bundle. Chose to work with these products because they are fun and versatile. 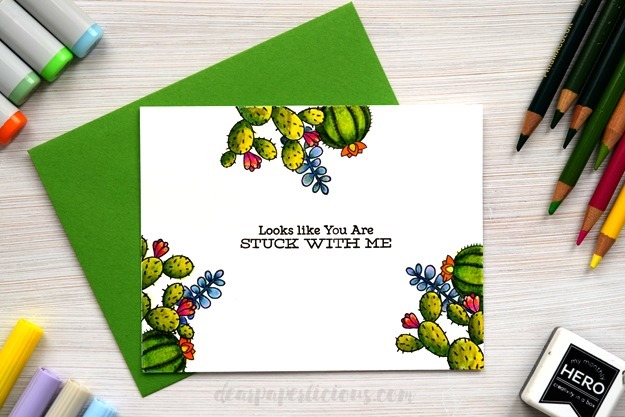 The card below could easily be a birthday card by changing the sentiment. Love that. Expect to see more projects on this blog with these items. For the first card, I stamped the crystal (or ornament) repeatedly on watercolor paper, painted them with Tombow markers and water, and cut out each crystal. Didn't use the die because I did not want the frame around each image. Added Wink of Sella glitter. 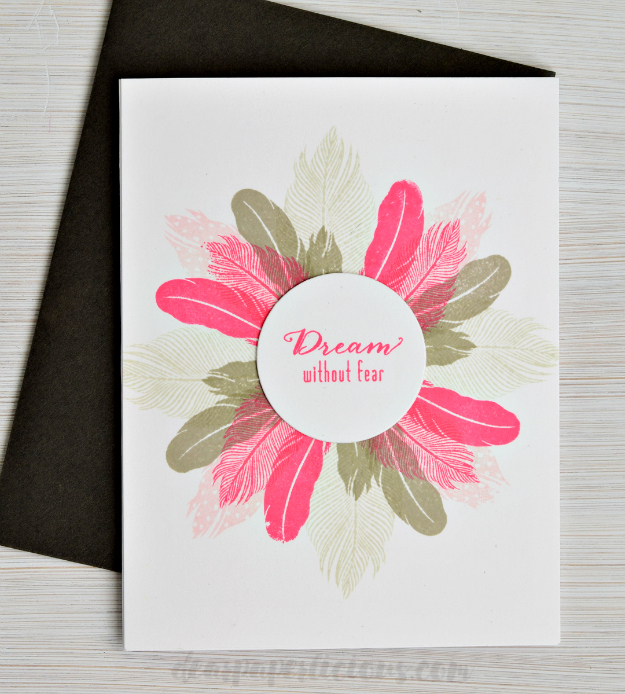 Adhered the layer to a Hero Arts Floral Mix Folded Card. 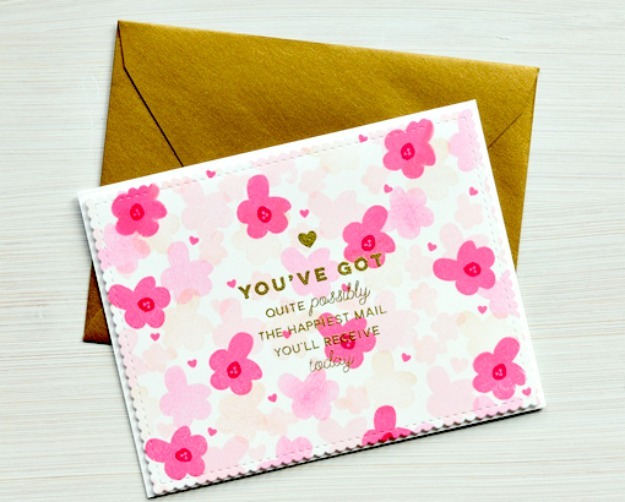 (The inside of these cards are white and, therefore, look so professional.) Thought about adding sequins but decided that the chances of ruining this were close to 100%! Here's a close up, with 4 of the crystals popped up. For the next card, I imagined some airy, pretty thing. Not sure I got the look I was going for, but I still like it. 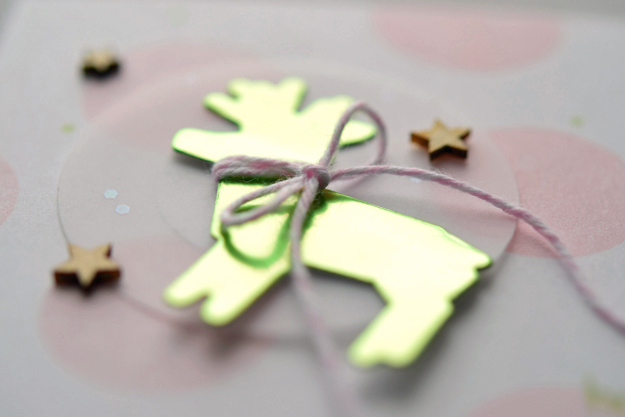 Used the reindeer die to make a shiny green foil deer because stampers can make shiny green deer, or polka dot deer, or anything we want, right? Hard to capture green foil. Love polka dots! 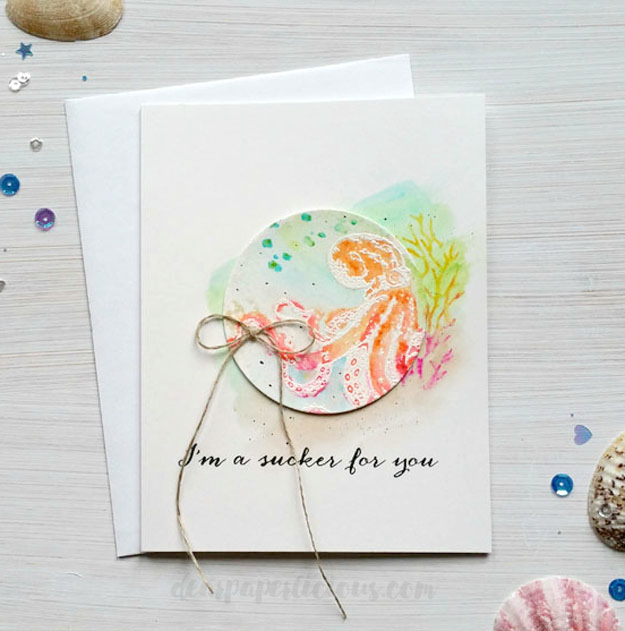 Used Essentials by Ellen Bokeh Dots to make the background, but the back of any round stamps will also work. Hero Arts is giving away three $25 gift certificates, drawn from comments left across all blogs in the hop. For your chance, leave a comment below by 11:59PT on 8/28/16. The winner's name will be randomly selected by Hero Arts and posted on the Hero Arts blog. Good luck! So, who else is in this big stamparella? Some major talent, that's who! There is some serious eye candy in this hop. MOOD WHEN DONE = Love these products! it must be shared at no cost to her readers, although $$ happily accepted. 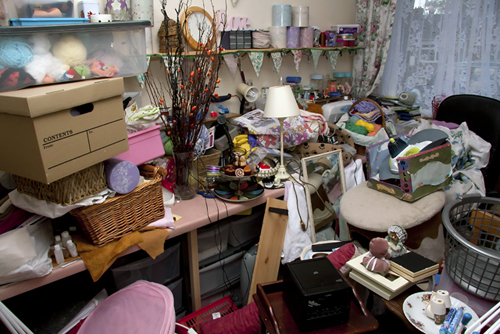 Is this your craft room after you've cleaned it up? Out of storage space for your supplies? Using a hodgepodge of second hand furniture and cheap wobbly tables? Need more electrical outlets and counter space? Donate dishwasher and stove to charity. You won't be needing these overpriced, useless appliances. 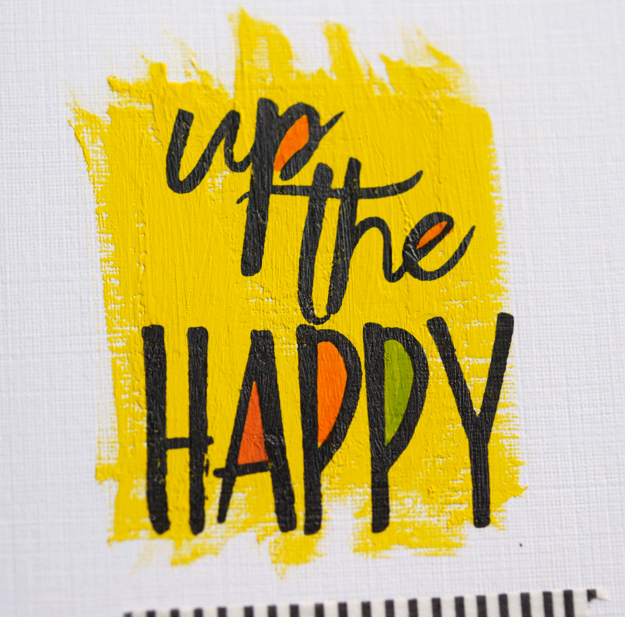 Feel your mood lift. Fill space left by dishwasher and stove with additional cabinets or drawers and counter space. Purchase Sharpies in your favorite colors. Store all supplies (except those covered in #8) in your now freed-up kitchen cabinets. Mark each cabinet and drawer with the contents using a nice big bold Sharpie right on the front. Cheap and easy! Plus, this is going to UP the value of your home when it is time to sell. 9. Do you have one of those fancy islands in your kitchen? Well, Gilligan, this is the perfect spot for stamping -- nice and stable and waterproof! If you don't have an island, get one. 10. Since you no longer are grocery shopping, cooking, cleaning the kitchen, or planning meals, you have HOURS free for crafting! Enjoy! 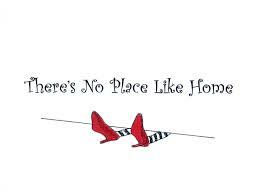 *** As always, if you are taking this seriously, you are in the wrong place! But, speaking of serious, I am a huge fan of Jennifer McGuire. I love her videos and card creations. 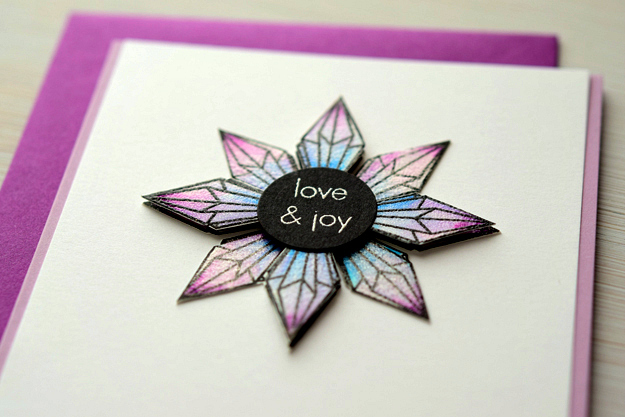 They are easy to follow, and she makes beautiful and clever cards. But I especially LOVE her organizational videos. If you really want to get organized, follow her tips! And, Jennifer has a new instagram feed, entiteld myworkinghome, devoted to chronicling the design of her new craft space. It's so fun watching the room design from the beginning. (It's like watching Fixer Upper -- even if you aren't going to design a room that lovely, you can pick up a ton of good ideas). Over the past few months I've received affiliate marketing offers from some of my favorite online vendors. While I was thrilled to get the offers, I turned them all down. I wasn't sure why I turned them down, but I think I've figured it out. Thought I'd discuss the issue and would love to know your thoughts on the topic in general. What is affiliate marketing in the papercrafting world? The offers I received went like this. I link to a product at a specific vendor site, and if you click on my link, and then make a purchase of that product within the terms of the affiliate agreement, I get a percentage of the sale. The terms include things like how long it took you to purchase the product. 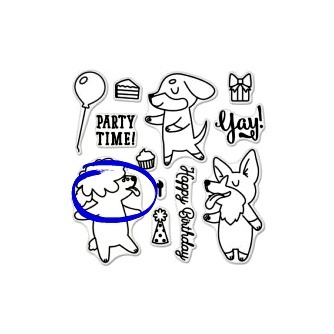 For example, if I link to a stamp set on August 1st, I could get a commission if you purchase it from that vendor within 10, 20, 30, 45 days, etc. You pay the same amount to the vendor regardless of whether you purchase through an affiliate link. Can you make money participating in affiliate marketing? I think so. I base this on a conversation with one crafter who told me she is making a serious amount of money through affiliate marketing. I didn't have the nerve to ask what "serious" meant! Plus, a lot of bloggers are doing it, and it does take a bit of time, so they must be doing it for a reason. Yes!!! This is an awesome development for crafty bloggers. Companies pay bloggers directly in a variety of ways -- cash, product, discounts, or some combination. Affiliate marketing is yet another way companies can reward bloggers for their hard work. 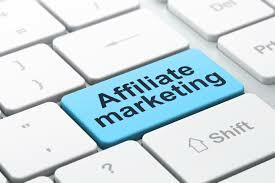 I think of affiliate marketing as profit sharing by the vendor. It rewards bloggers for their hard work and their talent. And it provides vendors a way to bring more customers to their shop. I like that too. It's a win win. paralysis over whether my stuff is "good enough"
So good luck to crafty bloggers. You work hard and I'm delighted if you are earning some money along the way. And thank you to crafty vendors for this development. You also work hard. 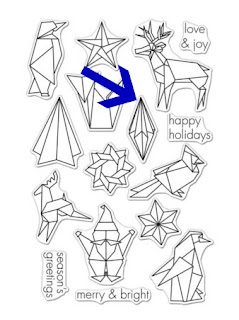 It's the kitchen sink approach for those of us with less than stellar coloring skills. 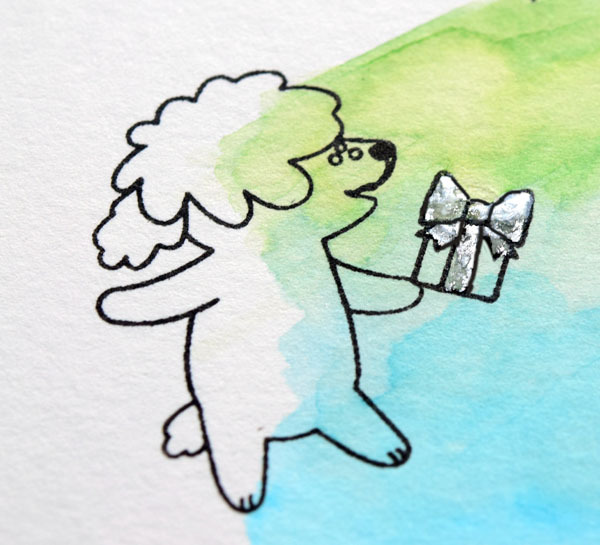 You can (carefully) use Copics without bleeding through cardstock like 80# Neenah Solar White! 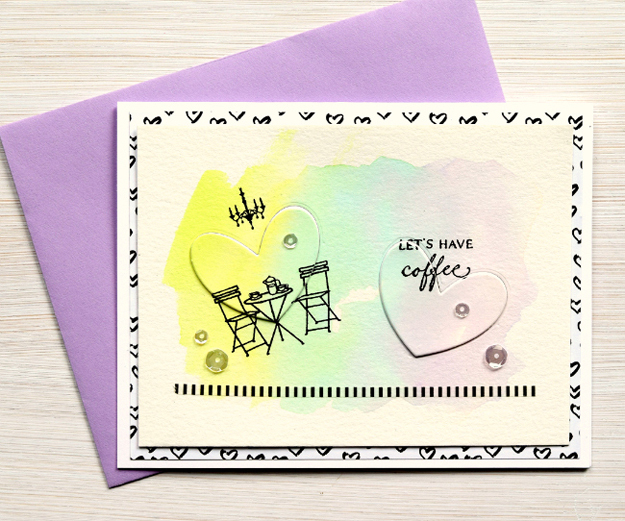 Love one layer cards. 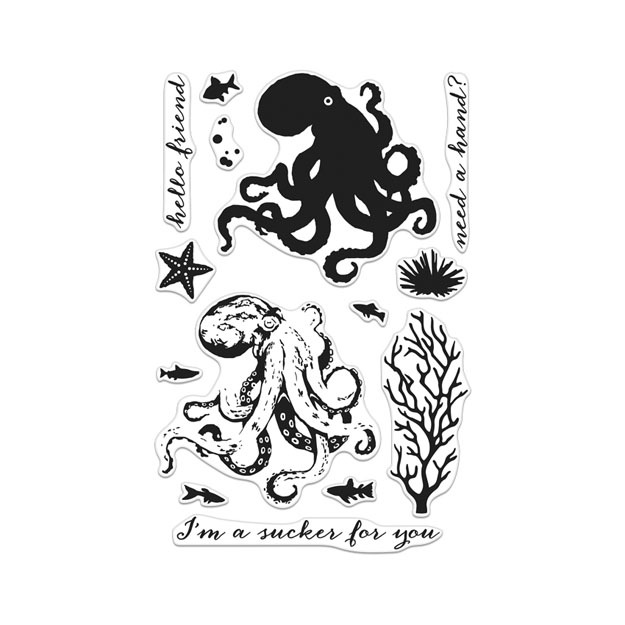 Stamp images (masking where needed) with a Copic friendly ink. I used Hero Arts Intense. Memento Tuxedo and a few others will work. Color with colored pencils first. I used Prismacolor. Blend with Copic markers. Copics will melt the colored pencils and blend them. Easier than gamsol or baby oil. The wax of the pencils will prevent the Copics from bleeding through to the back side of the cardstock if you use the Copics lightly. If you are concerned that this technique will ruin your Copics, test it out first. I've done this before and they are fine. I just wipe off the marker on paper. Add highlights (yellow is perfect for plants, but I also used the others pictured) with a water based marker (I used Tombow). In fact I used more pencils than are pictured. I was experimenting and just having fun. LOVE this Sweet Succulents set from My Favorite Things. It's a keeper! Would love to know if you try this and what you think of your results. To my fantastic readers -- sorry for the very long break in the story. My writing mojo disappeared! To start at the beginning of this tale, go here. 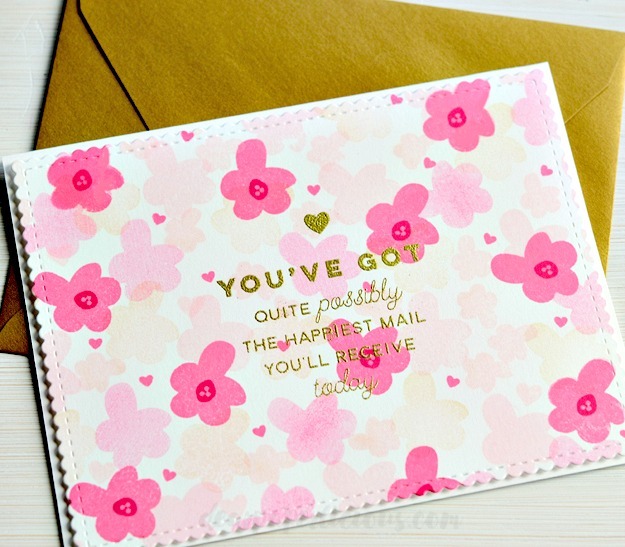 To recap: M and Beth's new stamping company, Beautiful, is off to a very slow start. On the first day of its existence, only Beth's friend, Susan, purchased a set. M gets nervous and buys out the entire inventory on day 1 using her own credit card, without telling Beth or M's husband, John. Over the phone, M and Beth celebrate selling out and, at the end of the day, John suggests that he and the kids help M by packing up all the "orders". Gah. I couldn't have John and the kids help me pack all those "orders" because there were no orders. Plus, I was starting to worry about using our own credit card. How was I going to pay that bill? I needed to find a way to cancel the orders without Beth finding out what I did. Before I could respond to John's offer, the phone rang. We never answer the phone during dinner, but I leapt at the chance to buy some time. "I've got to get this," I said, as I rushed over to the phone. John nodded that he understood. After all, I was a business owner now. "Ma'm, this is Bill Menow. I'm the Deputy Assistant Chief Security Officer for Masterly Credit Card. We believe that your credit card was used online in a fraudulent manner. Someone seems to have made multiple purchases from one company using a variety of names and addresses." "Oh no! I hope we don't have to pay for this. This is awful." "No, ma'm. We just wanted you to be aware of the fraud. We are going to have to cancel your cards and of course, all those orders. Never heard of the company. Some two bit outfit called Beautiful. 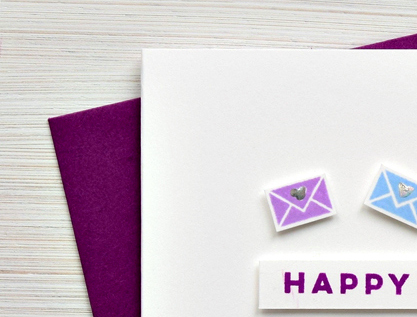 We'll be sending you new cards with a new number. You should have them within 3 business days." "Oh, wow. That's crazy. Thank you so much for letting me know." I hung up and walked over to the table. Everyone was looking at me. My mind was still trying to figure out how to deal with John's offer to pack the orders. John put down his fork and said, "What was that all about?" I told him and the kids, "Wow, that was the security office from our credit card company. Seems someone used our card online to buy a bunch of stuff and they figured out it wasn't us. Whew. They are cancelling the cards and sending us new ones. What a pain, but I am so glad they caught it." John listened and then said, "Ugh. This happens more and more lately. I think our Washington Post subscription and the gas bill are paid automatically through that card. Can you straighten that out, please?" "Oh, I completely forgot about those. Sure, I'll take care of it when the new cards come. But I'm not going to let a little thing like this ruin my day!!" John replied, "Absolutely! I am so proud of you. And so are the kids." Before John could say anything else, I said, "You are so sweet to offer to pack up the orders, but I'm beat. I'm just not up to printing out all the orders and making labels. I think the excitement today just robbed me of all my adrenaline. But I really appreciate the offer. Kids, is your Dad the best or what?" "Fine with me," said Buffy. "I mean, Mom, I'm happy for you and all but I have homework." "Yeah," said Garrett, smirking. "She thinks instant messaging her BFF until 2 in the morning is homework." And off the kids went, teasing each other. The dishes were done. Before John and I each went into our own offices, John turned to me and put his arm around me. "M, I am so proud of you! Let's celebrate next weekend. How about steak and champagne Saturday night? You can wear that gorgeous black cashmere dress. You are a knockout in that." What could I say? Beautiful was going nowhere, but I smiled and hugged him back. He really was the best. As soon as I got to my office, I clicked on the computer. Time to check the Beautiful store. Beth had placed a notice letting customers know that we were sold out but taking preorders. I held my breath while I prayed that there were preorders. I was sick. All that work. CHA. The lawyer bills. The patents. All that money and we had nothing to show for it. Stampers can break your heart. And then, an idea! Of course. It was so obvious!! "Wow, I see that that new store Beautiful already sold out. I am sooo disappointed. I HAVE to have those stamps! Anyone know if we can preorder?" "Thanks for the heads up. I just checked and they are taking preorders! I placed one already. Good luck everyone!" By noon of the next day we really had sold out, and more. We had 1100 preorders! We were going to be rich! I knew it. I knew I could do it. All those years of being shunned by those PTA moms and here I was, a CEO of a successful business. Beth had called me twice that morning and left messages. Now I could call her back, but I had to find a way to explain everything to Beth. "Hi, Beth! ; M here. Sorry I didn't get back to you sooner. I had to drive John to work today! His car's in the shop." I hated lying. But sometimes we have to do things we hate. "Oh, M, I am so excited. We have 1100 preorders plus the 500 orders from yesterday. This is crazy!!" I took a deep breath and said, "I am so excited too!! Beautiful is a huge success!! 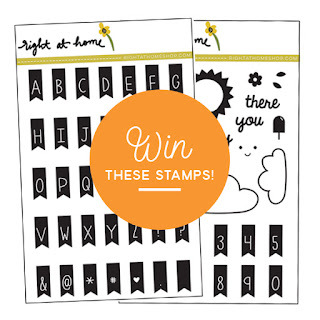 And it is all because of your design talents and brilliant idea to create clear stamps. I am so lucky I met you." Beth responded, "Aww, M, that is so sweet of you to say. But we couldn't have gotten this far without you." "Listen, Beth. So, you know how yesterday we sold out?" "Of course, it was awesome." "Well, we didn't. I placed all those orders myself. They are bogus." Sometimes, when nothing else will work, honesty is the only way out. Beth was quiet for a few seconds and then asked, "WHAT? Why would you do such a thing?" "Beth, calm down. It is all good. In fact, it's spectacular. Eventually, we did sell out. We really did sell out our original 500 sets plus we now have another 600 preorders. It just took 24 hours longer than you thought." Beth said, "I don't understand. What are you talking about? We are partners. You lied to me?" Now I was getting annoyed. We had sold out and had a huge preorder, and Beth was going all 10 Commandments on me. "Listen Beth. Here's what happened and I swear on my kids' lives this is the truth. No one was buying anything. Except for my friend Susan, the store was a bust. We were about to go bankrupt on our first day. So I bought out the store myself to create some excitement! And then I went on Splitcoast with a fake name and told everyone it was sold out, which it was, technically. Then I had another fake person announce that we were taking preorders, which we are. The next thing, boom! All 499 sets that we have in stock that you thought sold out yesterday are now really sold out. Plus, we have preorders for 600 more. To be honest, I thought once you heard what happened, you would thank me." Beth interrupted, "You lied to me and you lied to the stamping community." "Now wait a minute Beth," I said. "Actually, I was honest where it really mattered. I didn't use Beautiful's money to get the ball rolling. I used my. own. personal. credit. card. to create a buzz. I could have just put a notice on our website that we were sold out, but I put my own money where my mouth is. I did it for US, not me. Yes, I wasn't totally honest with you yesterday. That's 'cause I was afraid that you wouldn't agree to the plan. And no stamper was hurt by this. All I did was make them want your beautiful designs. They'll get their stamps and we'll get their money. It's capitalism!" I continued, "Oh, Beth. You know how stampers are. We love to buy what others love. I mean how else can you explain the popularity of the those dancing file cabinet stamps? People actually made Christmas cards with a dancing file cabinet. 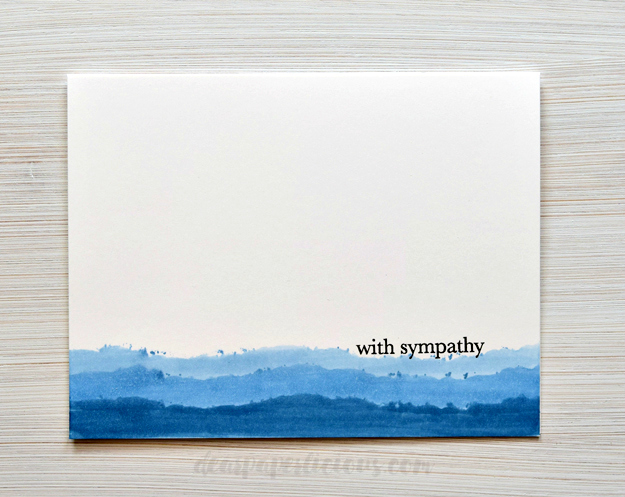 They made sympathy cards with sad-faced file cabinets doing the Tango. Stampers will buy anything if you just help them figure out what they want." Beth laughed, "Well, you got me there. I guess that makes sense. But promise me. No more fibs. We have to be honest with each other." "Absolutely. I promise." And I meant it. Whew. 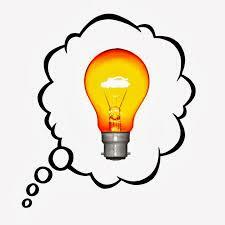 Beth was ok. Before she could change her tune, I told her, "And I have another idea. I found a way where I can manufacture our stamps myself right here in my basement. This will cut our costs by half! Do you want me to tell you about it?" 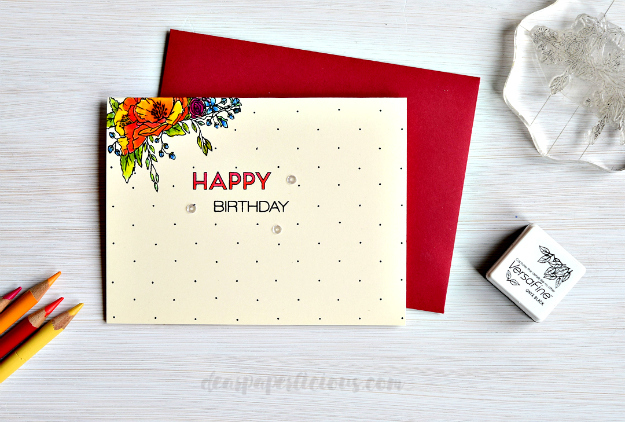 Here's a quick to make, and easy to mail, birthday card. 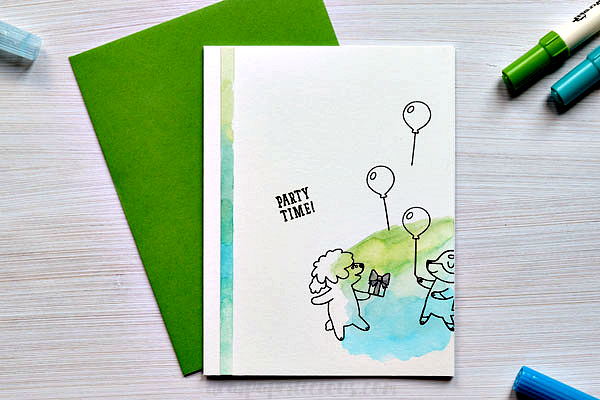 It is fast to make because the balloons are one image, the Gina K cardstock allows you to color with Copics and not get any bleed through to the inside of the card, and there are no embellishments. 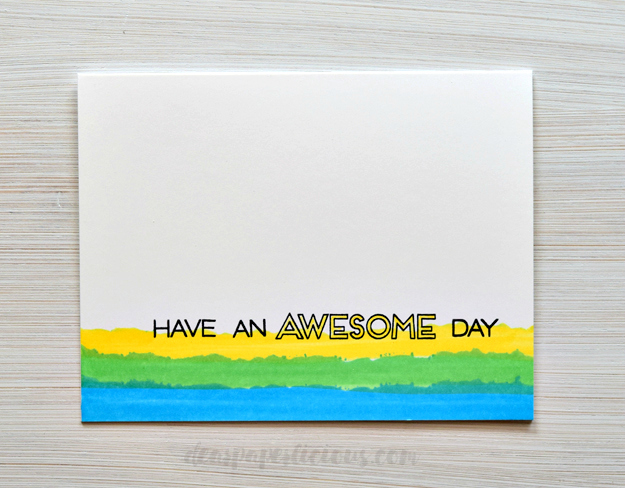 Trim Gina K White Heavy Base Weight Cardstock and score to make an A2 card. 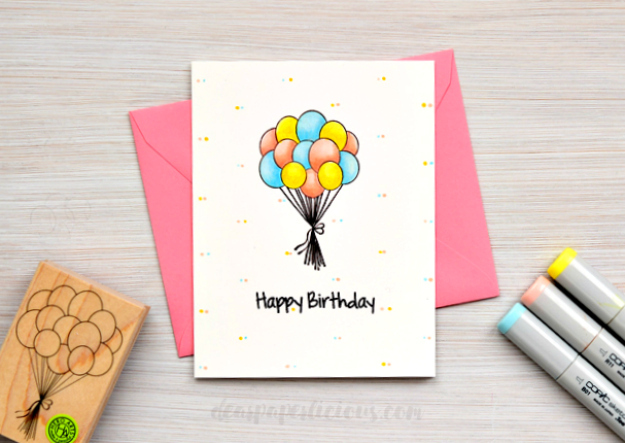 Stamp Hero Arts Birthday Balloons with a Copic friendly black ink. I used Hero Arts Intense Black ink, but Memento Tuxedo and other Copic friendly inks will work. Add Wink of Stella clear glitter over balloons. 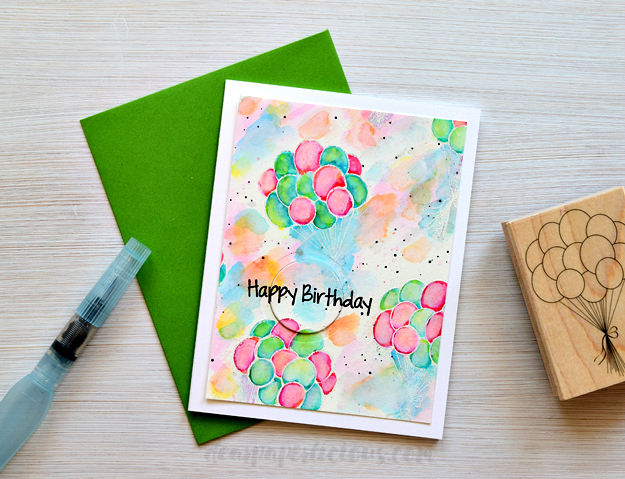 Using a stencil with circles as a guide for placement (a Julie Ebersole idea), make small dots over the card with the same Copics used to color the balloons. MOOD WHEN DONE = I have no complaints! 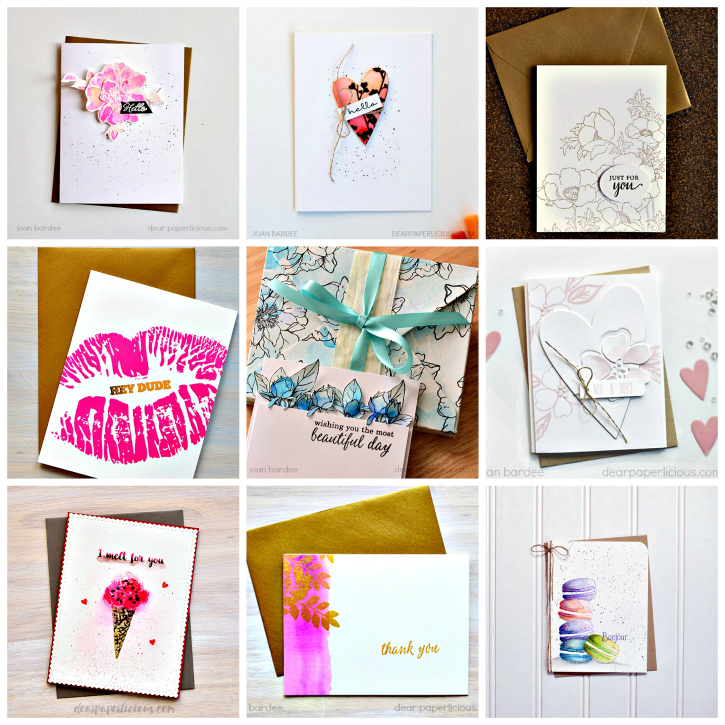 You can find my card up on the Right at Home blog. Enjoy! 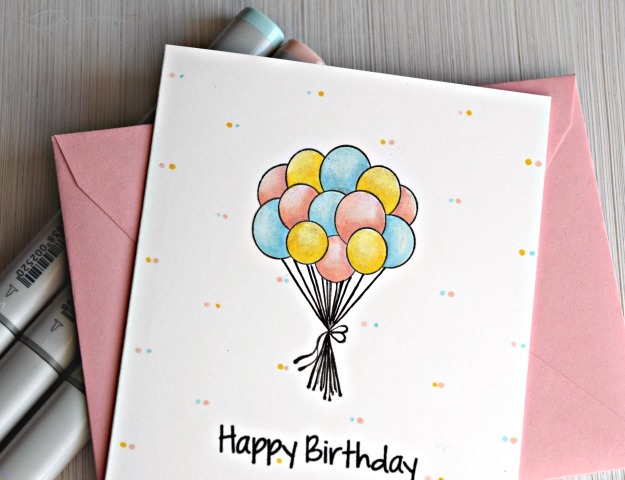 Embossed Hero Arts Birthday Balloons in white on watercolor paper. 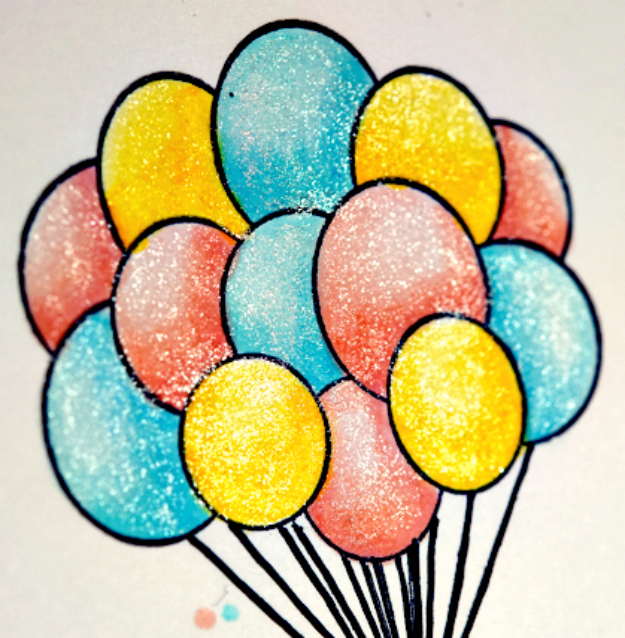 Using a variety of Tombow markers, watercolored the balloons and the background. Painted white acrylic paint thinned with some water over the balloons and blotted. 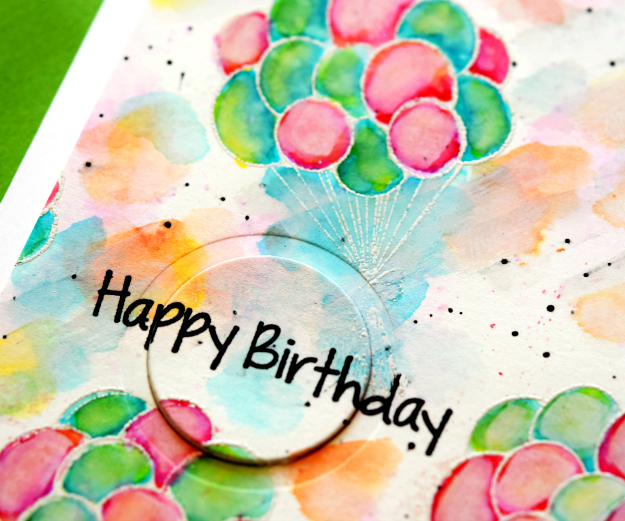 Stamped the sentiment from Hero Arts Balloon Animal Birthday with Versafine Onyx ink. Not the dreaded sequins. Not after all that work. Couldn't take the chance on bad sequin placement! 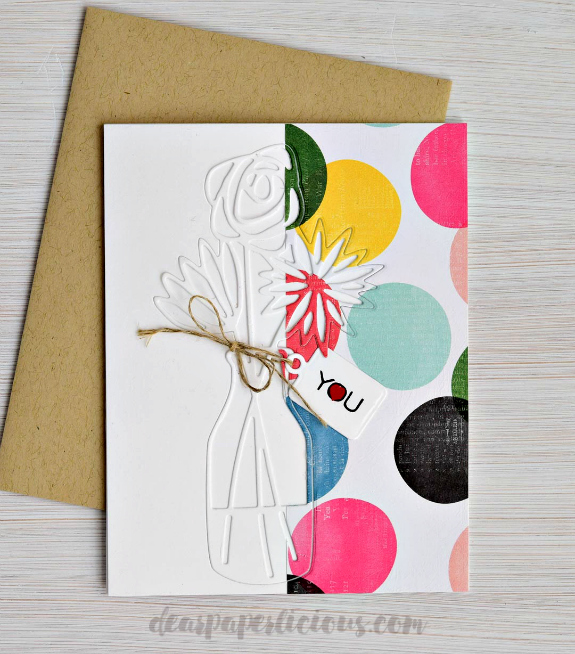 Die cut as shown and popped up with additional circle die cuts. Adhered to A2 white card. MOOD WHEN DONE = Happy!!! How you doing? Decided to play along with July's Essentials by Ellen Mix it Up Challenge, which was to use an Essentials by Ellen and a Neat and Tangled product. Stamped a background with a small, slightly wonky, double line circle stamp from Neat and Tangled's Dala Horse. using Altenew Warm Sunshine ink. Stamped this darling sentiment from Essentials by Ellen Love You So, designed by Julie Ebersole, with Altenew Persian Blue ink. MOOD WHEN DONE = Delighted! NOTE: If you are looking for the Right at Home blog hop, go here. 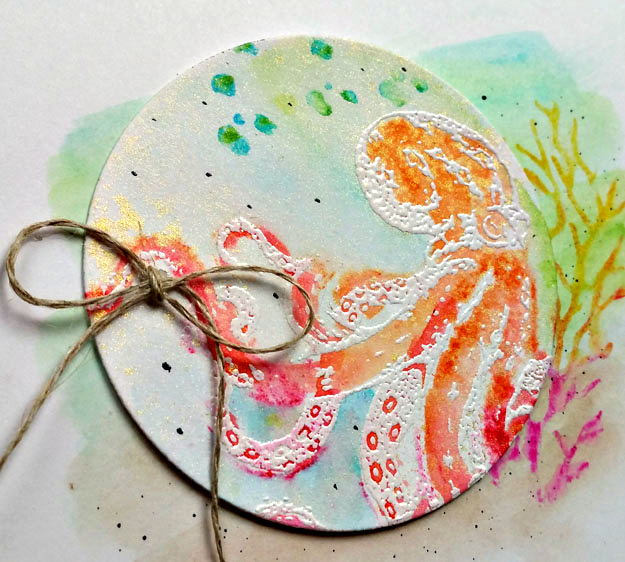 If you are looking for the Hero Arts blog hop, go here. If you are looking for real talent go here. Thanks! I've had a pack of Gina K's White Heavy Base Weight Cardstock for months (possibly years? HA!). As many of you already know, it does not bleed through when using Copics or other alcohol inks. Shockingly, these cards worked out exactly as I had hoped the first time I tried. That's happened possibly twice in ten years. Tear a piece of cold pressed watercolor paper (I used Canson). The paper should be wider than your card. Use the watercolor paper as a mask, and starting from the bottom, take a Copic or other alcohol marker and run it over the paper. Perfect for those of us with few skills! Make a new mask for each color family change (yellow to green for example) and repeat as shown. Stamp the sentiment using a Copic friendly ink. I used Hero Arts Intense Black. It is heavy, and therefore, does not fold flat. That bothers me, but there's a quick fix. Cut, score, and fold the card as usual. 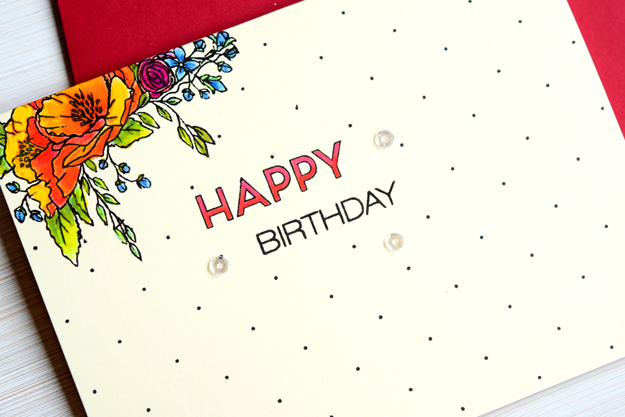 Then, put the folded card through your die cutting machine, using clean unetched plates. The card will come out almost flat. It's $7.95 for 25 sheets, or .31 cents a sheet. Not the cheapest, but not crazy expensive. That's about .15 for an A2 card. I'll take it! It came perfectly packaged and unbent because Gina is Gina and she would make good if it did not. Here are two more cards I made using this same method. The blue is kind of ocean like. 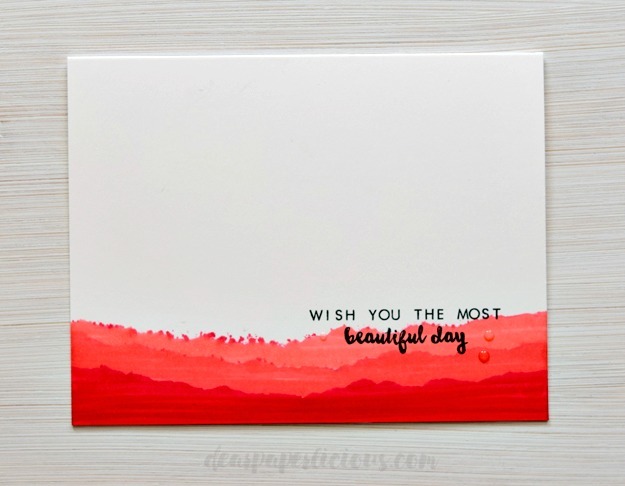 The sentiments are Beautiful Day by Altenew, Many Everyday Messages by Hero Arts, and Totally Awesome by Essentials by Ellen. Change the colors and the sentiment and the possibilities are endless. I added a few accents on the red card with a Pico Clear Embellisher, but don't think that's needed. MOOD WHEN DONE = Awesome! Hi there! 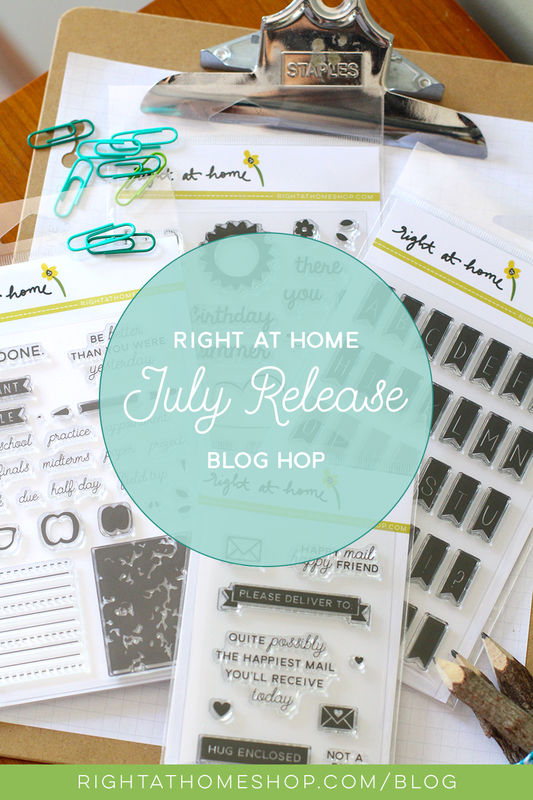 Today I'm participating in Right at Home's blog hop to celebrate its July release. 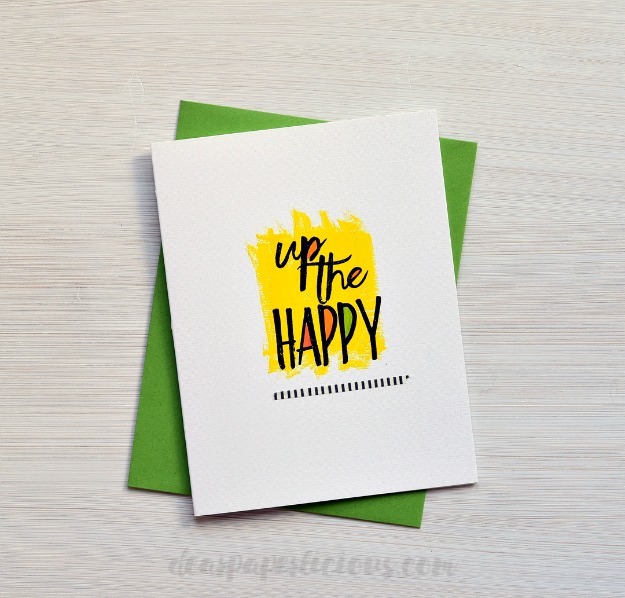 RAH is giving away two of the new sets from the comments on this blog hop. You can get all the information about the release here. And, you can see the release in the shop here. 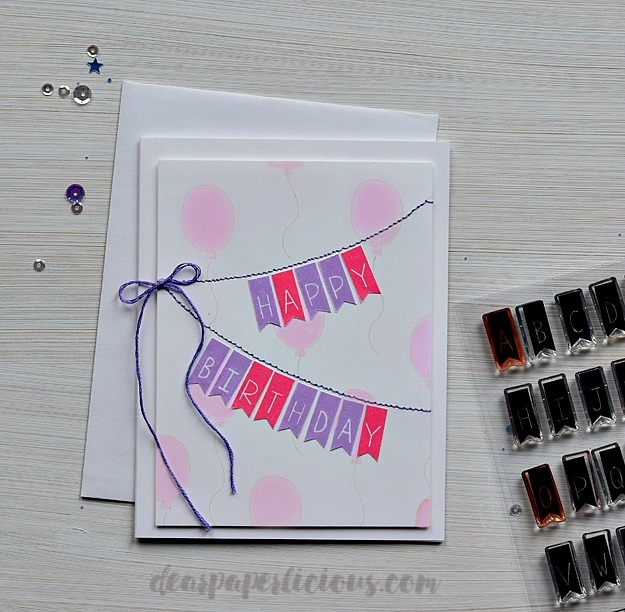 I used the new Banner Alphabet set (on the left above) to make a soft, feminine birthday card, perfect for a pink and purple loving little girl. I love how each banner already includes the letters, numbers, etc. Because the stamps are solid, I was worried that I might not get a smooth image, but as you can see, I got terrific coverage (I used Altenew inks), and I did not use the MISTI. 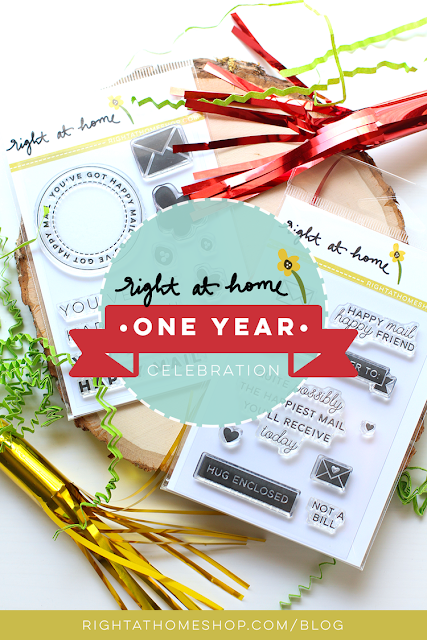 Stamped balloons and strings from Right at Home's Let's Party May kit with pale gray ink onto white cardstock. Colored the balloons with a Copic marker. Stamped the banners as shown in gray ink. Punched holes in the banner and embroidered the banners with purple embroidery floss. Stamped the letters and hand cut. Adhered the letters and the bow. Adhered the stitched panel onto an A2 white card with foam dimensional tape.